Obama expressed his desire for Saudi dictator Abdulaziz to continue his illegal assault on Yemen, “pushing for a continuation of the war” and announcing, mafia-like, that “the job is not done”. The dictator has complied, carrying out further attacks on the impoverished and starved country, with a Saudi Prince announcing that he will reward the terrorists physically carrying out the bombings with Bentleys, a brand of ultra-luxury automobile. Further, Moon of Alabama (often cited by Glenn Greenwald) has found evidence to suggest that Saudi Arabia is directly supplying al Qaeda in Yemen. Al Qaeda has made unprecedented gains there due to the the US-assisted Saudi assault. Moon notes that the terrorist group is not considered extreme by Saudi Arabia, which mandates, under pain of torture or death, a like ideology, and is already known for supporting al Qaeda. Meanwhile, Obama yesterday executed seven innocent people in Yemen with one of his “Hell Fire” devices (innocent if “innocent until proven guilty” still matters to anyone). Obama has been bombing Yemen throughout his time in power, one part of what the world’s most cited scholar, Noam Chomsky, has called “the most extreme campaign of terror of modern times”, Obama’s global execution-by-robot operation. While US government and media continue to propagandize the population into passively accepting the US/Saudi/axis of dictators’ campaign against Yemen by dishonestly referring to the Houthis as an Iran “proxy”, US intelligence itself states unequivocally that the Houthis are not an Iran proxy (“It is wrong to think of the Houthis as a proxy force for Iran,” a U.S. intelligence official told The Huffington Post). Indeed, Gellhorn Prize-winning journalist Gareth Porter re-confirms this, and documents that the Houthi are actually (as was pointed out this week at WB) “flush with American arms that may be worth as much as hundreds of millions of dollars”, which they took when they were able to hold, without contest, numerous military facilities that had, like much of the Middle East, been pumped full of US weaponry (the US is the world’s biggest arms dealer). 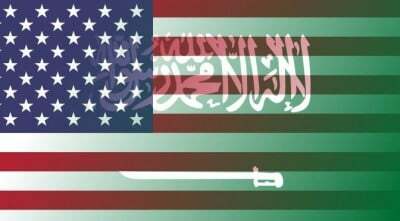 In reality, as Antiwar.com and others have noted, it is the Saudis who are a US proxy, illegally attacking an entirely domestic movement, as the US has done over and again around the world as it seeks to dominate.